Dark, mysterious, surreal. 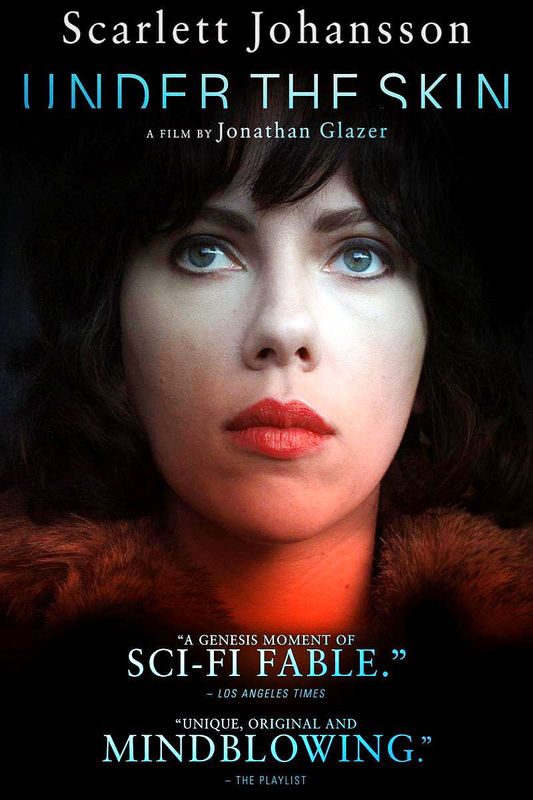 All of these words apply to “Under the Skin,” a 2013 film by Jonathan Glazier. A motorcyclist emerges from the woods carrying the body of a woman and places it into the back of a van. In a white room, somehow too large and formless to be the van, a woman strips the body of its clothes and puts them on. She emerges from the back of the van and begins to drive. The woman, played by Scarlett Johansson, drives around downtown Glasgow picking up lone men and taking them back to her apartment where she seduces them into following her until they are dragged into a formless void, never to return. With minimal dialogue and carefully employed special effects, the film works on a number of levels. As the woman’s victims sink into the inky blackness at her feet, the audience is left unsure if this is literal, or a metaphor about the dynamics of seduction and power. Is this woman a haunting ghost, an avenging angel, supernatural, or something even more terrifying and alien? Johansson’s performance is flawless as the woman with the dyed black hair, her face an impassive mask, eyes reptilian and predatory. Who is she, and what is she thinking? The only answers are those inferred from the action on screen. Many scenes were shot using hidden cameras while Johansson drove around talking to strangers unaware at the time that they were being filmed. This gives events a verisimilitude that heightens the sense of horror as the ordinary and the surreal merge seamlessly. The movie is loosely adapted from the critically acclaimed book by Michael Faber. This review deliberately avoids comparison to the novel so the viewer can judge the film on its own merits, but those mystified by what they have seen may find some answers in its pages. Overall, the movie blends sci-fi/fantasy/horror and art-house film in a way that achieves more with the relatively small $13.3-million budget than most comparable big budget flicks could ever hope to.